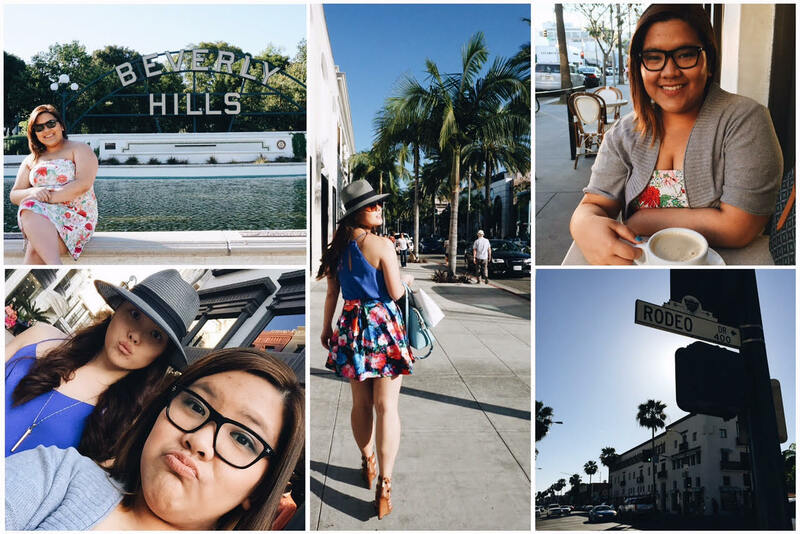 Each day Karrie and I spent in the Los Angeles area was filled with a lot of sun and a hell of a lot of fun. 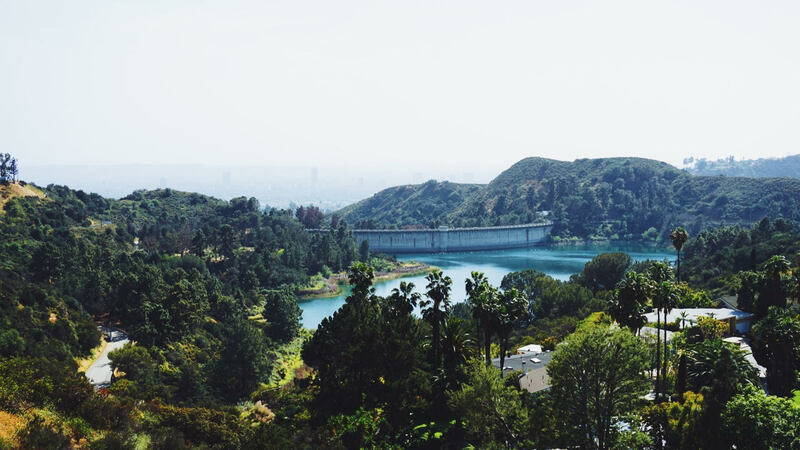 No matter what your budget is, there’s something fun for you to see or do in Los Angeles! Other than paying for our Uber rides, we spent very little on these excursions (save for the very last one), so I’ve gotta say, they were all definitely worthwhile! I want to thank Karrie for taking a good majority of these photos with her camera (or my phone). Girl’s got mad skills. From the cheapest (free!) to splurgiest – see what works best for your next trip! While most people flock to Hollywood & Highland or to the Griffith Park Observatory to get their photo with the sign, this free alternative was more removed from the city, less touristy, and, well, the photos speak for themselves. The view from H&H or the Dolby Theater give you a teensy glimpse of the sign (you need really good zoom on your camera, and forget about getting a photo with the sign). Griffith Park Observatory is somewhat better, but the angle of the view is a bit skewed (see for yourself) and I wouldn’t have been happy with it. The view here, at Lake Hollywood Park? Spot on. There’s plenty of history in the area — the building in the bottom right photo above? That’s Castillo del Lago – a mansion that once belonged to Madonna and, perhaps more interestingly to me being a history buff, mobster Bugsy Siegel. It was a beautiful view on a toasty day, to be sure. Every weekly tabloid at the supermarket will have photos of at least one celebrity walking through The Grove. Pushing a stroller, toting bags from Madewell and Nordstrom… you name it. This open-air complex (which would be nightmarish in a downpour, let’s be real) was an absolute treat on the sunny day we visited. It has its own theatre, countless restaurants, and shops of every shape and size. You can drop a ton of cash here (just as you can at any mall), or just sit and enjoy the atmosphere (we took a nice twenty or so minutes with some ice cream and watching families stroll through and get their faces painted for Easter Sunday). 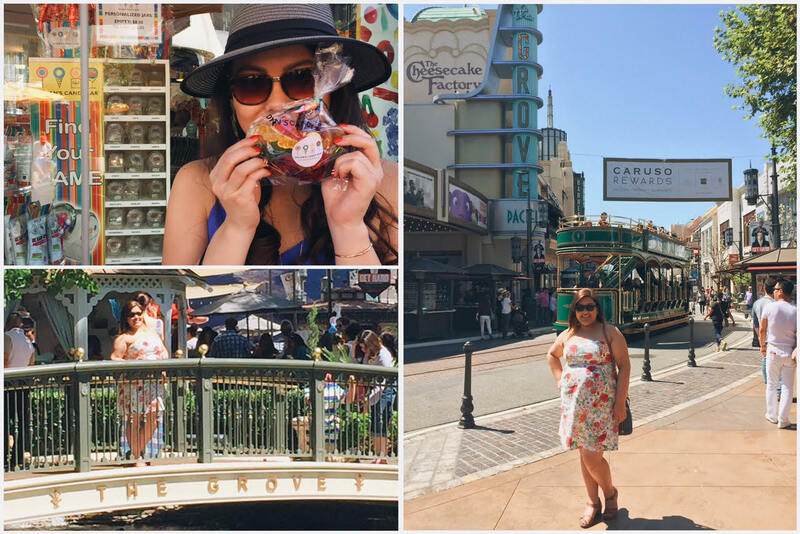 Karrie scored at Topshop, and we scored some treats at Dylan’s Candy Bar (see above), which was just as well, considering we didn’t get to go to the one in NYC. Cost: Free, OR $$$$$$$$$$$$$$$$$$$$$$ ??? No, no, we didn’t buy anything whilst walking down Rodeo Drive… but it sure as hell didn’t stop us from strolling through like we owned it. Surprisingly (or perhaps unsurprisingly), the streets were crawling with tourists as opposed to actual shoppers – I can’t quite fathom walking into a store and walking out of it $5,000 or $10,000 or $??????? poorer… yet here it was. A sight to behold. The lifestyles of the rich and famous. No, it’s technically not in Los Angeles, but Santa Monica is just a stone’s throw away (or a $19 Uber ride) and the pedestrian-only streets inland are covered in shops and restaurants at any and every price point imaginable. Keep heading west, however, and you finally hit Ocean Avenue (yes, Karrie and I were singing Yellowcard when we hit it) and the beautiful sight of the Pacific Ocean greets you. Pack a lunch, a beach towel, and chill for a grand total cost of $0, or you can have a blast up on the pier with some (really unhealthy yet delicious) snacks. Corn dogs, funnel cakes, icy slushy sugar syrupy deliciousness? They’ve got it. They’ve even got a Bubba Gump’s (but good lord, there’s so much more to choose from inland). And of course, how can you say no to Pacific Park and its fun rides? 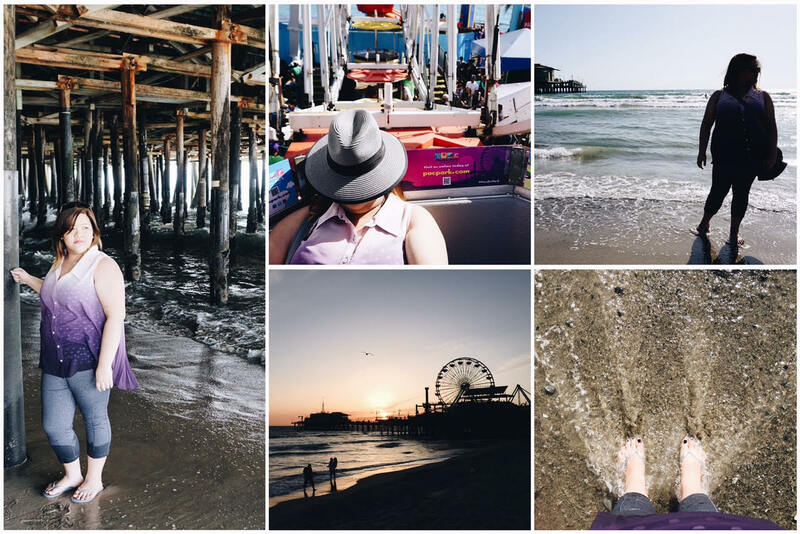 Whether you’re beneath the boardwalk doing a dramatic photoshoot or you’re up in the Pacific Wheel (which, by the way, is the world’s ONLY solar powered ferris wheel), Santa Monica is a ton of fun for people of all ages. Stay for the sunset… just make sure you’ve got a sweater to keep warm ’cause the temp drops fast! 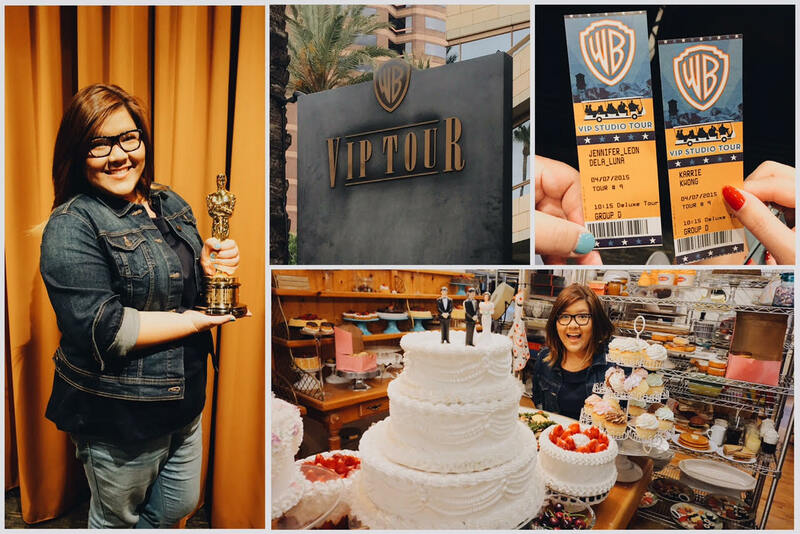 Oscars and (fake) pastries, oh my! The last item on my list was the sole item that we had to pre-buy tickets for. Given our proximity to Hollywood, it should come as no surprise that there are several studios that run tours. Last year, I did the Universal Studios VIP Tour (which was an absolute hoot). It was definitely fun and also included front of the line unlimited lineups for all the rides at the park. Though the Universal tour was great, it wouldn’t be the best if you aren’t interested in rides or coasters, since much of what you pay for is for that (unless of course you love Universal’s productions, such as Jurassic Park, Transformers, Psycho, etc). Given all the amazing things that have filmed at the WB lot in the past / what’s tied to WB (which is pretty much EVERY MAJOR PRODUCTION IN THE HISTORY OF EVER? ), I definitely wanted to do the WB tour this time. Fortunately, a current production on the lot is Pretty Little Liars which Karrie is obsessed with… so she was happy to oblige! What To Wear: Keep in mind that a lot of this tour is spent outdoors in the backlot, driving or walking through. They conduct the tour rain or shine (I’m assuming some augmentations are made in a downpour). 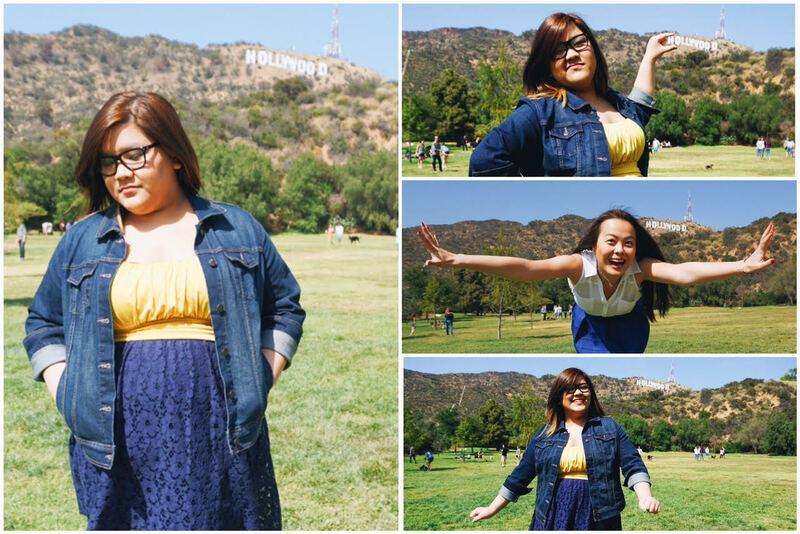 The day we went was the only overcast day we had in LA and I was actually grateful for it! I loved the refreshing breeze (and it actually was raining by the time my tour ended, and fortunately not during). What it does mean, though, is that you should dress accordingly. Because we’re driving through on an open air golf cart-esque vehicle, it can definitely get breezy. I had a denim jacket and scarf on and they served me well, but others in my group were dressed more summery with sheer knit tops and flip flops (and they suffered for it). A travel pro tip, no matter where you are: layer up! It’s easy enough to shed a jacket or add a scarf, but if you have neither you could either freeze or boil! Also, if you’re on a tour, wear comfy shoes, as opposed to sandals or heels. Function over fashion in this case, folks. The Tour: Our tour started off with a brief introductory film showing glimpses of the countless films and shows that WB has created. We were in a theatre with everyone who was also on tours that started at the same time as ours. It should be noted that for $54 USD per person, WB also offers their regular Studio Tour which is shorter, does not include a meal, and has fewer stops and inclusions, which I’ll discuss further. It’s definitely a more affordable option, however, and based on what I saw from other groups driving by us, was still good fun. It just didn’t go into the same detail or depth. The first and most obvious difference from the regular tour with our Deluxe Tour was that, after the film was over, everyone taking the regular tour started off, and my group (there were 11 of us) started off getting to HOLD A REAL OSCAR (see above) – what a (heavy) honour! 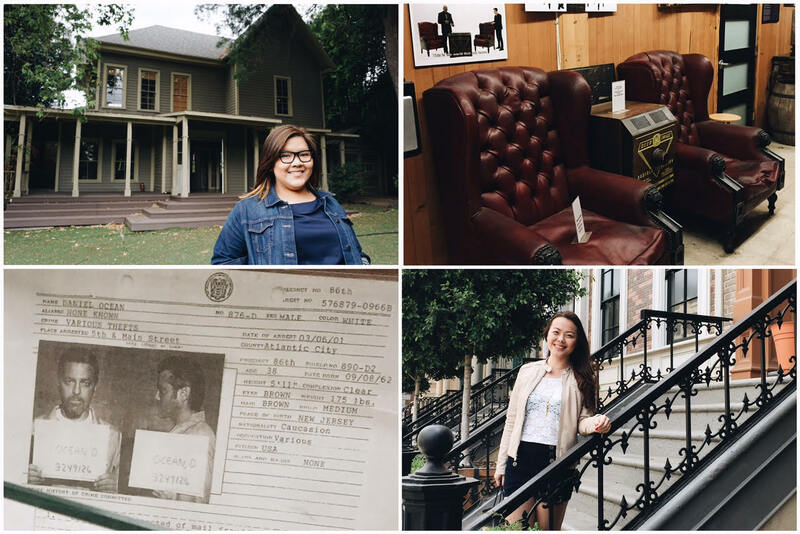 Clockwise from top left: 1: Currently used as one of the houses for PLL, this house was also Lorelai & Rory’s from Gilmore Girls. 2: The two seats Morpheus & Neo sat in, in The Matrix. 3: Karrie posing by some (fake!) brownstones. 4: A prop document depicting Danny Ocean from Ocean’s Eleven, one of my favourite films of all time. We drove through the Backlot, through sets used in everything from Batman to ER. Current productions are Pretty Little Liars, The Big Bang Theory, Mom, and of course, Conan O’Brien and Ellen! There’s always a billion things going on there, however, because WB loans out their space and their props to other studios as well. We had an amazing lunch at the Commissary (where we weren’t allowed to take photos) – whilst there we were joined by Cass Warner Sperling, a granddaughter of one of the founding Warner brothers! It was amazing to be able to ask her questions about her upbringing, about her memories hanging out on the lot, and we even got her book personally signed to us! The Picture Car Vault is currently a “Batcave” in celebration of Batman’s 75th Anniversary. Here we saw vehicles old and new, including the epic tumbler. We also got a goofy green screen shot taken here — and the price of it was included in our ticket (you get the photo taken with the regular studio tour too, but you have to pay for it if you want it in the end). 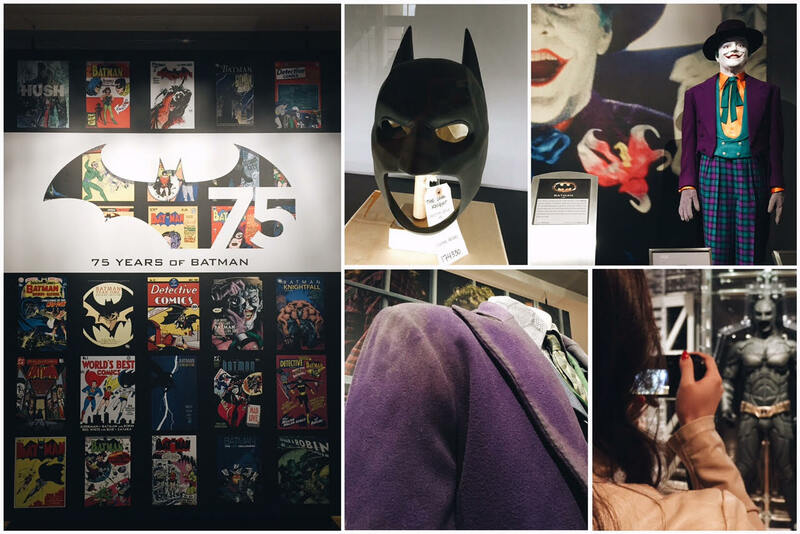 More Batman memorabilia at The Archive, WB’s two-floor museum. Celebrating the 75th anniversary of my favourite superhero was an absolute treat. 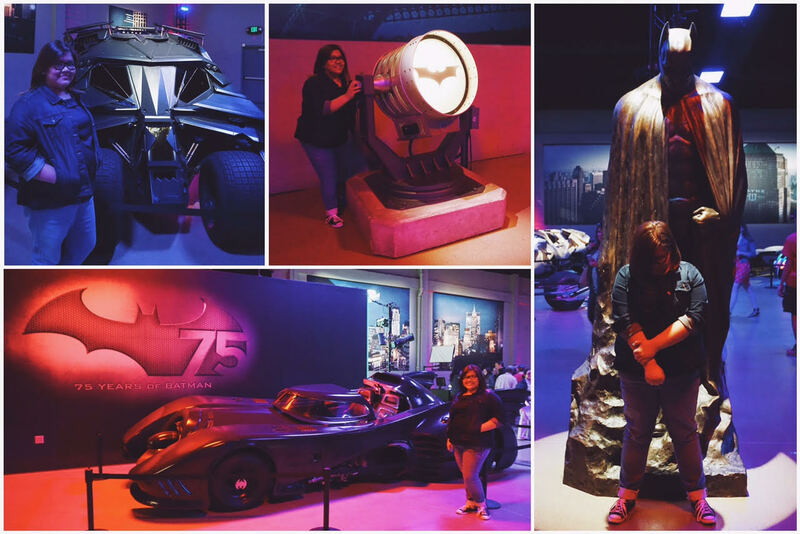 So many costumes, props, and heck, all the vehicles were on display for us to go gaga over. I felt like a kid in a candy shop with this, and I couldn’t have been happier to see it all in person. A whole floor filled with costumes and props from the Harry Potter films!!! 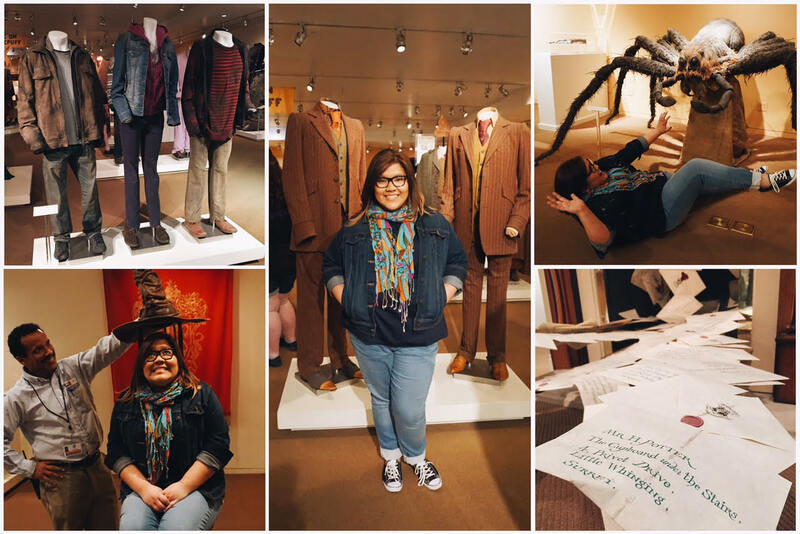 After visiting both the Wizarding World of Harry Potter in Orlando and the WB Leavesden Studios Tour just outside of London, this one room wasn’t exactly mindblowing, but as a Potterhead, it was still amazing to be sorted, to have Aragog attack me, and check out some amazing props. THE FRIENDS SET! No, we didn’t just glimpse at it, and take photos of it. 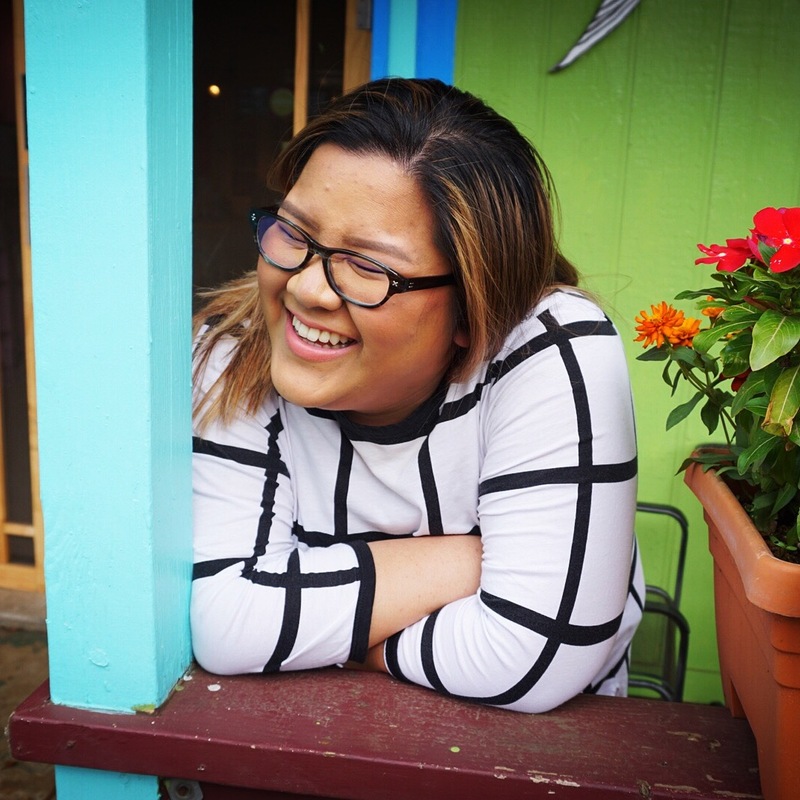 We walked in, the door shut behind us, and because we were a part of the DELUXE tour, we were able to DIVE IN THERE, sit on the couch, pretend to be Gunther, touch everything and YES – I SANG SMELLY CAT UP BY THE MICROPHONE. 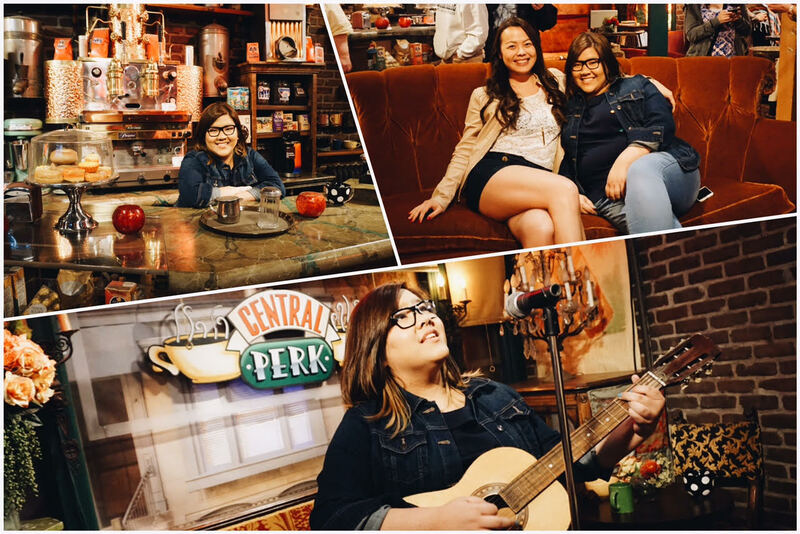 As a huge Friends fan, it was an absolute honour to walk in – it felt like I was walking into a preserved time capsule, really – and just say that yes, yes, I was there. 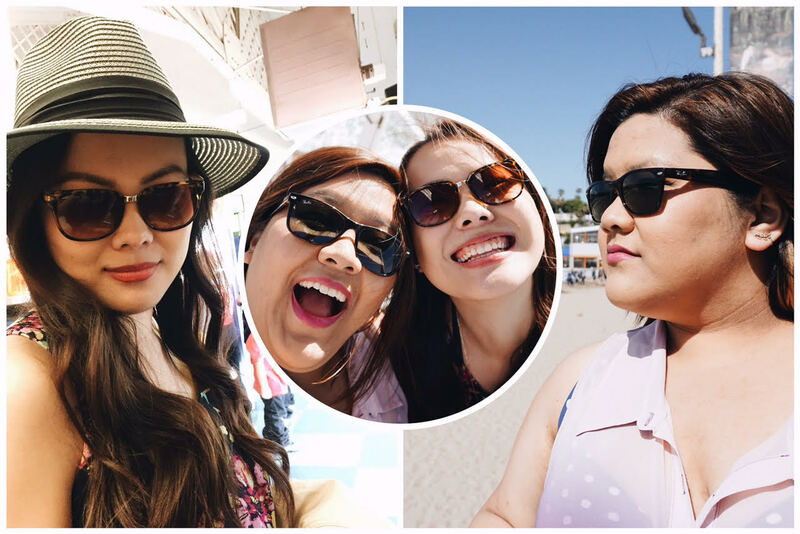 While it was certainly a splurge for us, it was an amazing end to our time in Los Angeles (we went to the airport after this!) and as fans of TV and film, the experience is certainly not one to be missed. The verdict: There you have it, my cole’s notes version of our whirlwind few days in Los Angeles. One thing that is a bit challenging with LA is that everything is very very spread out. The stretch of Hollywood itself is a decent walk, but heading out to Beverly Hills, Weho, further west to Santa Monica (and Venice Beach and all the other beachside hot spots), or further north to Burbank and all the studios meant that you either needed to have a car, or take a cab / Uber everywhere. Fortunately, Uber was dirt cheap in Los Angeles (some rides which would have cost a cab $8-9 cost us $4-5 on Uber if it wasn’t at peak demand times, so it was convenient and affordable. While public transit is your cheapest option, LA’s transit isn’t the most expansive (their subway/Metro system is very limited, and their buses too few and far between compared to more compact cities like NY, Chicago, or even Vancouver). 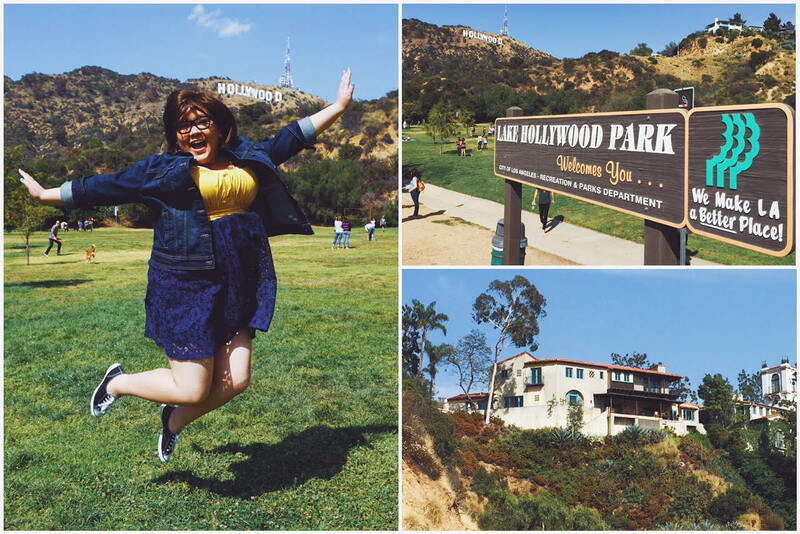 As long as you have your mode of transportation sorted, there’s tons to see and do in LA – I barely scratched the surface in this post! 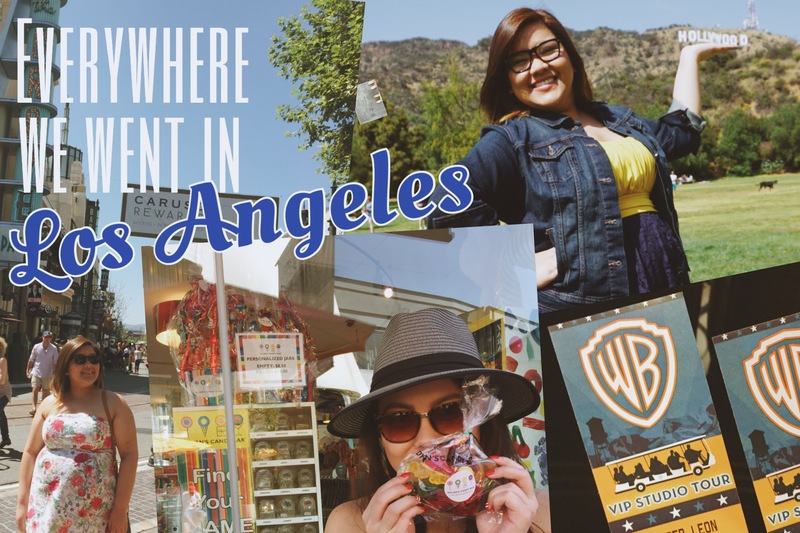 There’s a ton of food, art, and culture in Downtown LA, amazing things to be seen at the Getty Center, and if you’re up for it, celeb-hunting or camping out at Red Carpet premieres at Grauman’s or the Dolby Theater. Fortunately, with so much to do… it gives me an excellent reason to revisit LA in the future, and since it’s cheaper to fly there than it is from Vancouver to anywhere else in Canada… it’s certainly worth a return trip! Next time on The Shortcrust: Before we delve into the beauty of New York City, we’ll be taking a breather as I show you my travel photography gear! From my camera lenses to my tiny little gadgets and everything in between, I’ll be showing you what’s in my purse to get some great travel shots (and it’s surprisingly lighter than you think)! Stay tuned, and thanks for popping in.